Amy Chhabra is currently in the pre-production stage of starting her own fashion label. Social media is indeed a powerful tool in 21st century that can make someone a star over night. 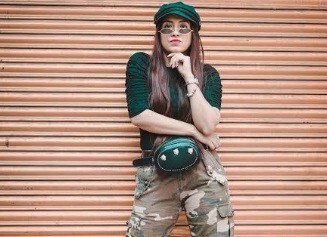 Amy Chhabra, a young architect by profession but a true fashionista and travel enthusiast by heart, switched her profession from designing houses to fulfilling her hobby and interest in the fashion industry. She has represented various National Level Collaborations and worked with some of the famous Tourism boards. She is currently in the pre-production stage of starting her own fashion label. And she is also keen on writing a book. The young social media sensation says, "I have always had my bent towards fashion and clothes. Being an architect didn't give me that kick and hence, I opted to do what I love. After being a social media influencer and having worked with brands like Google, Amazon, Oppo, Loreal and Tata to name a few, I am currently in the planning process of my own fashion label. It will be a blend of trend and the pop culture." Holding a Post Graduate Degree from Scotland, the free spirited and ambitious in nature girl, gives her followers some major wanderlust goals with her pictures on her blog and Instagram. She also aims to empower and Inspire a lot of young women.